Where to stay when in Tel Aviv? In line with the leading suggestions of the travel guides and lifestyle magazines, or on a quest of a more personal nature – you’ve selected Tel Aviv as your next destination! 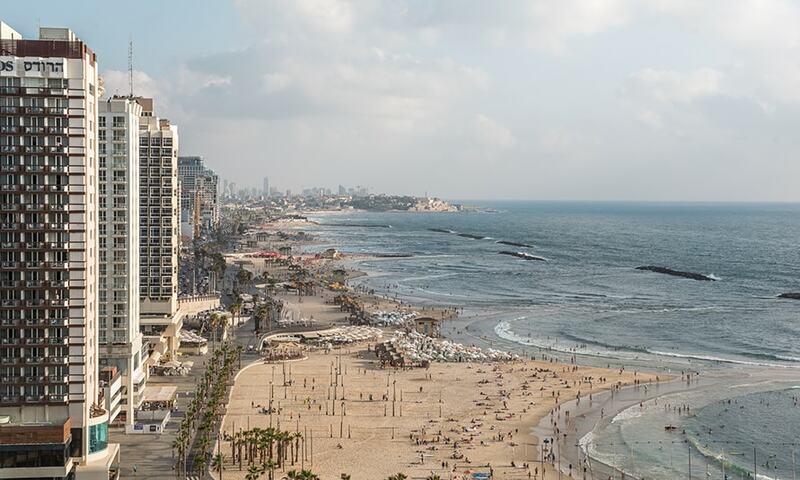 Tel Aviv is a heady mix of history alongside the contemporary, the beach alongside the urban, and a breadth of things to do and see in such incredibly close proximity. But no holiday is complete without the perfect place to rest your head and the number of hotels dotted throughout this bustling city is enough to cater to the widest range of styles and tastes. While the offering is huge, there are only a mere handful that tick all the customary boxes of a perfect holiday. The sea, the city. The sea? The city? While there are a host of options in both, there are actually very few well placed city options that afford a view of the sea (being just a short walk away). Restricting your stay to the coastline is unnecessary and unadvised! Because the city is where the action is. But having both is an option, at The Norman hotel. Business or pleasure? Who’s asking? Just one night in Tel Aviv will teach you that this is a city that doesn’t understand or legislate for a distinction between business or pleasure! These are not mutually exclusive, because Tel Aviv is all business AND all pleasure while doing so. But a hotel than supports the need for serious business is one that boasts Board Room facilities and event spaces and catered meetings in an atmosphere that sings tranquility and success. And it’s just because The Norman doesn’t see such a vast distinction between business and leisure guests that everything is available to everyone, all of the time. The spa provides an enormous host of treatments for men and women, including aromatherapy treatments, jet-lag massages, reflexology, and everything in between Additionally, there is only one hotel in Israel, let alone Tel Aviv that boasts; Infinity pool, 24 hour gym, personal trainer, expert concierge, 2 award winning restaurants. Full on luxury in a historic setting is different to the luxury you can expect in a soulless new-build. The walls of The Norman tell stories, and they share them with you. The interior design, lead by David D’almada of SAGRADA London allows you a part in the stories. Luxury is a physical attribute as well as an emotional one, and The Norman have all those bases covered. “The Answer is YES!” This is the mantra of The Norman guest service and sums up the attitude to guest service. Winner of the hugest number of awards including Conde Nast Travelers Readers Choice award, there is simply no other place to stay.